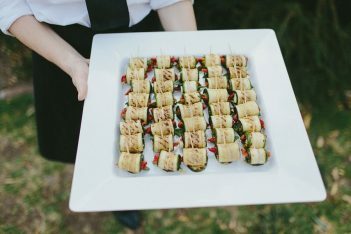 Surrounded by towering sandstone escarpments and offering some of the region’s most outstanding scenery, Dryridge Estate is a fabulous boutique vineyard nestled deep in Megalong Valley, offering a range of options for weddings of all shapes and sizes and beautiful accommodation to match. 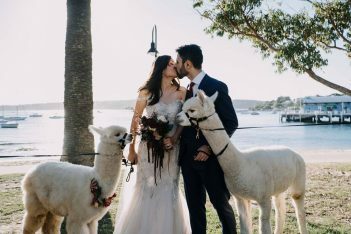 Weddings at Dryridge Estate are a ‘choose your own adventure’ style, where couples are free to create the wedding of their dreams. Couples can choose to exchange vows in the manicured gardens or vineyard, and guests can be served anything from canapés to a three course dinner. Our clear roof marquee is like a glass house, allowing uninterrupted views of the beautiful scenery that is unique to Dryridge. Your ceremony and wedding reception will have the most magnificent views and magical sunset the Blue Mountains has to offer. A truly special and unforgettable experience for you and your guests. The Estate includes beautiful accommodation in our Homestead and Sunset Lodge for your wedding party and family to relax and enjoy the property and soak up the country air. We can assist you with any or all aspects of organising your perfect wedding day and can also put you in contact with local providers to ensure the entire experience is seamless. Emma and Simon have been at Dryridge Estate since July 2015. Emma’s background is in events and hospitality, spanning 20 years. She is incredibly passionate, friendly and organised, which makes Dryridge Estate the perfect business to indulge her flair for putting on a party! She absolutely adores weddings, her favourite type of event to organise. Simon has a background in farming, originally hailing from Feildling in New Zealand. He has an incredibly keen sense of business and currently works in finance in Sydney during the week.